Click on the thumbnails to view in gallery. 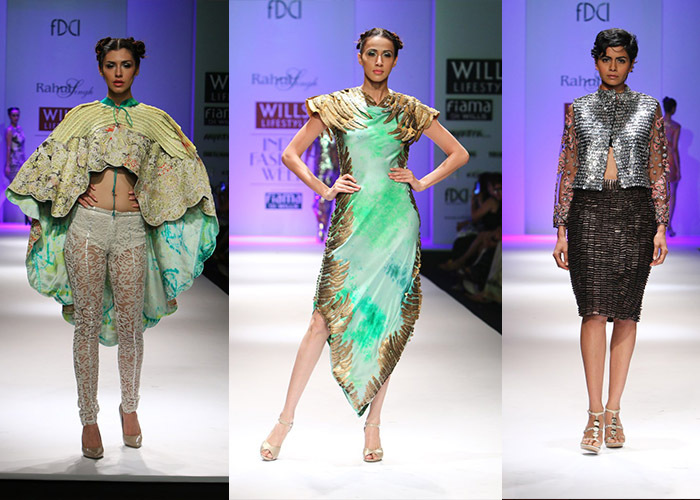 Inspired by migrating birds, Rahul Singh’s collection was purely based on their streamlined bodies and sheer fluidity. A soothing palette consisting of light green, aquamarine and smooth crimson met its bling counterpart in the form of metallic scales and bomber-like jackets. 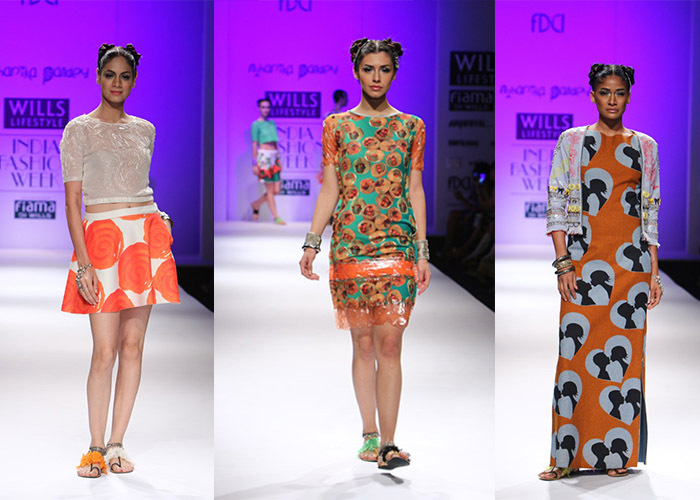 Niharika Pandey’s collection was all about nostalgic summers with floral prints and child-like motifs. 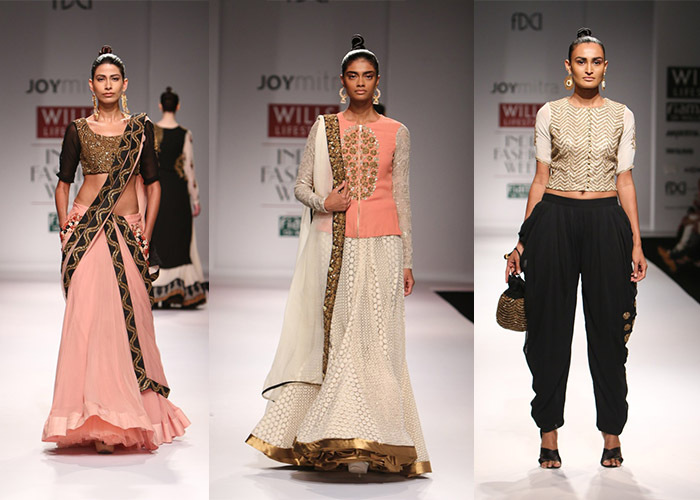 Paying tribute to Satyajit Ray, Joy Mitra’s summer collection was studded with zardosi embroidery. Cream, black, peach and pink dominated the shade card, giving it a vintage touch. 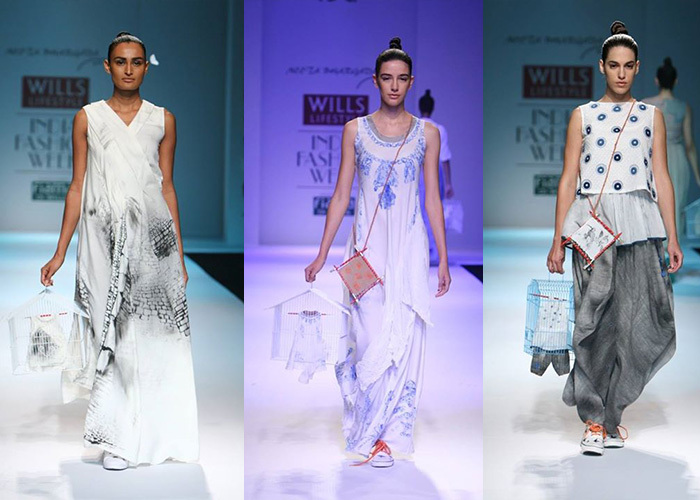 The highlight of Neeta Bhargava’s collection were models strolling down the ramp with bird cages. Her wardrobe focused on free-flowing silhouettes and easy prints. Bringing to life Cliff Richard’s Summer Holiday, Nida Mahmood showcased a fun collection with embroidery and vibrant patterns. 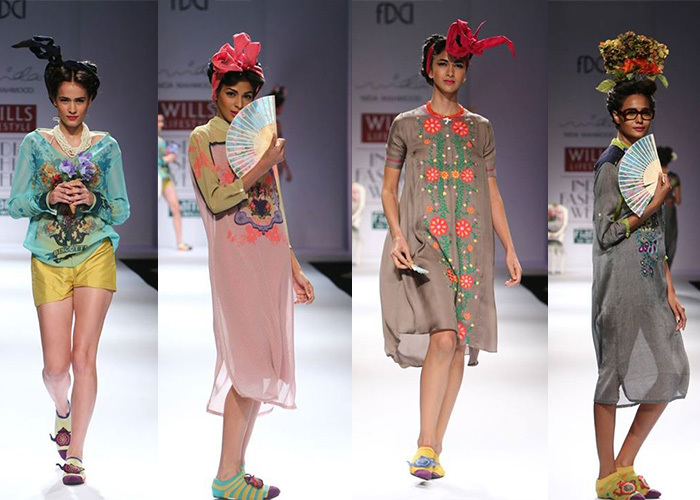 Heavy accessories, quirky headgears and floral motifs were perfect examples of art-meets-fashion. 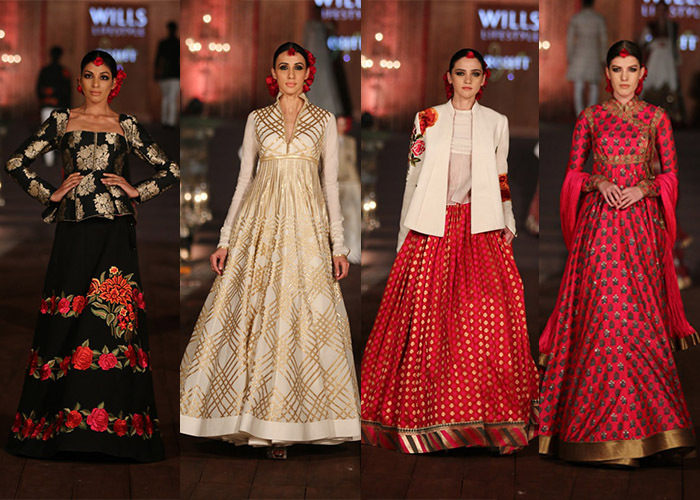 Rohit Bal’s showcase was undoubtedly one of the grandest finales known to fashion week. The Qutub Minar made for an unconventional runway, but amplified his concept of Mughal splendor. Peplum cholis loaded with regal embroidery, silk and quilted lehengas took grandeur to the next level. Check out our previous posts here: Day 1, Day 2, Day 3 and Day 4.